"Law breakers use more technology than us. We have to be one step ahead": Karnataka Deputy Chief Minister G Parameshwara. With cybercrime on the rise, Karnataka has turned to IT giant Infosys for help. The state police today signed an agreement with Infosys Foundation, the philanthropy wing of Infosys, to set up a state-of-the-art unit to tackle cybercrime. The anti-cybercrime hub will be called the Centre for Cybercrime Investigation Training and Research (CCITR) and it will come up in Bengaluru. "The centre aims to train police, prosecution, judiciary and other departments in handling technology investigations and create standard operating procedures in cybercrime investigations," Infosys Foundation said in a statement. The agreement to set up the centre has been signed between the Criminal Investigation Department (CID) of the Karnataka police, Infosys Foundation and the Data Security Council of India (DSCI) that is owned by IT industry body Nasscom. Karnataka's deputy chief minister Dr G Parameshwara, who was present at the signing of the agreement, said, "Law breakers use more technology than us. Naturally we have to be one step ahead. This initiative will definitely help us. The training programme is important because we intend to start an anti-cybercrime station in every district. But where is the staff? Where are the technical people? This is why we started this centre. We are grateful to Infosys for coming forward to help us". He added that experts from outside India will be called to help with the training. Infosys Foundation has pledged Rs 22 crore for the centre and said that it will "bear the costs incurred in setting up, operation and maintenance of the technological infrastructure at the centre and will provide the investment for hardware, software and capital required for holding training programmes". "We aim to build state-of-the-art facilities to tackle cyber and forensic crimes in Karnataka. Once operational, the centre will be a milestone to curb misuse and unethical use of technology to create distress for fellow beings," said Infosys Foundation Chairperson Sudha Murthy. Infosys Foundation also said that it will "support the upgradation of the existing cyber lab for a period of five years along with technological infrastructure by providing specialised tools and incurring licensing costs". 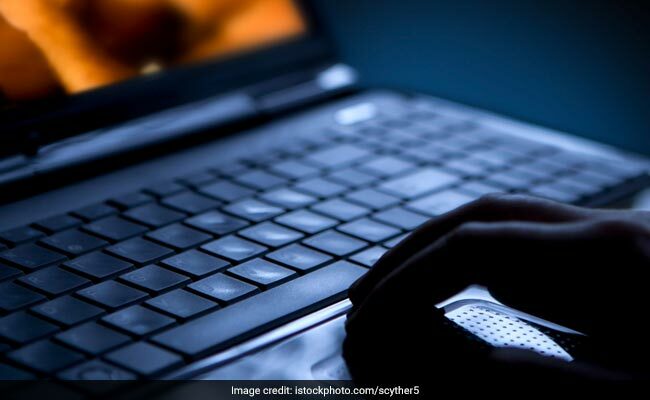 Praveen Sood, Director General of Police heading the CID in Karnataka, described cyberspace as the "world's largest ungoverned space demolishing all geographical boundaries". "With cybercrime set to become one of the biggest organised crimes in the near future, law enforcement agencies need to be equipped with the hardware, software and expertise to face the challenges ahead," Mr Sood said. Mr Parameshwara also used the opportunity to talk about the installation of Close Circuit Television (CCTV) cameras across Bengaluru. "We already have high-resolution cameras at 167 intersections in Bengaluru. You may not notice but they are capturing every second of movement of people in that intersection. We want to extend this to more areas and streets. This is part of the Nirbhaya programme where the protection of women and children is the main focus," he said.